Home did NOT flood during Harvey! Charming 3/4 bedroom home located on secluded street in Briarmeadow. Inviting foyer leads to light & bright formal living offers cathedral ceiling with wood beam and custom chandelier. 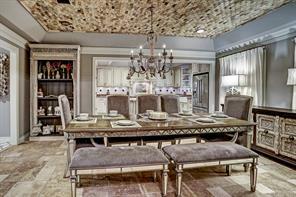 Formal Dining could easily be a playroom off the Kitchen. 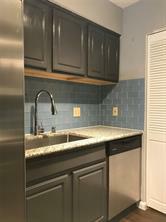 Kitchen completely remodeled (2015) with granite countertops, stainless appliances, wine cooler, tile backsplash and custom soft-close cabinets. 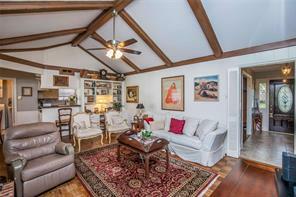 Cozy Family Room with original brick surround fireplace and peg hardwood floors. Master Suite with large custom closet by California Closets and gutted Master Bath with Carrera marble counters, stand alone tub & separate shower. 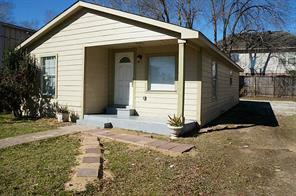 Two bedrooms upstairs with updated bath. Oversized backyard with fire pit, wood deck and Jacuzzi hot tub. May apply to Briarmeadow Charter (K-8) an authorized IB school in the primary years. Briarmeadow Community – constable, pool, clubhouse, park with tennis courts and backdoor trash service. Stunning contemporary newer built compare to the neighborhood, custom features throughout great open floor plan with soaring entry and family room, office with French doors, huge family room that open to executive kitchen loaded with upgrades including expensive granite and recently updated SS appliances, double oven, wine chiller, butler pantry, large breakfast area, good size formal dining. Huge master suite down stairs, with custom flooring, vaulted ceiling and fire place that framed with beautiful marble tiles, large master bath with granite counters and back splash, two large secondary bedrooms down with a Jack and Jill bath one of them with a built-in desk, beautiful stairs well with custom iron and glass rails lead you to a good size game room, and a huge 19x19 bedroom with a full bath, upstairs also a large extra closet that makes a good storage. Prime lot on Richmond ave. The location is unbeatable! Up for sale is 3 lots side by side Tr#25 1515 sq/ft lot#26 5555 sq/ft and lot#27 6630 sq/ft land tr#25 and lot#26 is fenced and entire surface is asphalt Lot#27 has tear down house in it. Tax info on the listing pertains to LOT#27 only. come and take a look. Location location location. Extensively renovated gorgeous home in the heart of Briarmeadow! The Foyer opens to the Dining Rm+Home Office w/doors(could also be Formal LR or Playrm).The Family Rm has a built in media cabinet w/Quartz cntrtps,brick fireplace w/Carrera marble surround+views of the bckyrd. Updated Kitchen with Quartz cntrtps, recent s/s appliances,Subway tile backsplash+ breakfast rm. 1/2bath and utility rm off Kitchen.The Master Bdrm features a lrg closet w/ built-ins and a redesigned bath with two sinks and a seamless glass-enclosed shower.Additional Bedrm downstairs. Upstairs is a great Game room,two additional bdrms+a full bath. 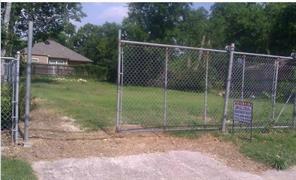 Backyard is fully fenced w/ a two car garage and an automatic driveway gate. Other updates include all new windows, updated lighting, engineered hardwood flooring, Nest thermostat,recent interior paint, sprinkler system, mosquito spray mist system,French drains+more!Briarmeadow includes a neighborhood pool+clubhouse,twice per wk bck door trash,+24 hour Constable patrol. 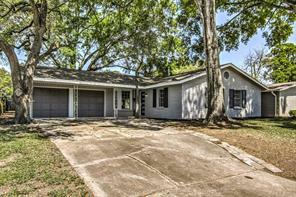 Completely remodeled house in BriarMeadow. Just bring furniture and enjoy a completely remolded 3 bedroom 2 full bath home that is 2420 sqft with a custom kitchen and a full butlers pantry (akaBAR) what else could you ask for except a laundry room with lockers. Oak refinished hardwood floors and brand new tile throughout with all custom built in place cabinets. Recessed lighting and walk in closets. Back yard has patio and a new deck off the back entertainment room. Per seller: New windows, new underground plumbing, new electrical and panel, new PEX tube plumbing up and new hot water heater. Fabulous Briarmeadow home on a quiet tree-lined street!Three bedroom,two and a half bath,two car garage home with loads of updates! !Large den with cozy fireplace and built-ins.Bright kitchen,tons of storage,updated appliances +new oven (2019). The Sunroom w/ wall of windows can serve as a home office or playroom, an ideal space for today's living.The Sunroom leads to the beautiful backyard-Large patio and mature landscaping for a great space to entertain! Some updates included are:All cast iron plumbing has been re-routed to PVC plumbing,New hardwoods thruout Nov. 2017,Gutters,Landscaping w/butterfly garden,New lighting thruout,New Oven 2019, Custom California Closets in Master Closet,Auto Driveway gate,New solid mahogany shutters+door, sprinkler system,Ring doorbell,new windows+more!Zoned for award winning Briarmeadow Charter School (K-8th),neighborhood pvt pool, private trash pick-up, 24/7 Constable, new park with walking trail+tennis courts! Centrally located, easy freeway access. Home has NEVER flooded. Foundation has double the standard number of piers and has never needed repair. 5 bedroom, 3 full bath in Briarmeadow. 2 bedrooms and 2 full baths downstairs. Lots of natural light in the open living and breakfast area. 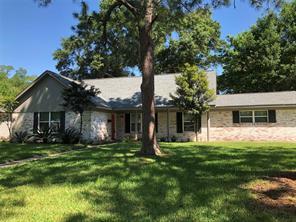 NEW hardwood floors downstairs, NEW piping throughout the house, NEW stainless steel appliances, NEW 5 burner gas cook top, NEW double pane windows throughout, plantation shutters downstairs, fresh paint inside and out. Large laundry room with bonus fridge and tons of storage throughout the house. NEW front porch lighting, NEW wrought iron retractable driveway gate, roof replaced in 2016 with 40 year shingles warranty. 2 blocks from park and tennis courts, and 3 blocks from neighborhood pool. Easy access to freeways and the beltway. Back door private trash pick up. Every Thursday is Heavy Trash day. Neighborhood protected by Constable Patrol/Security. Seller does not have survey. All appliances stay: washer, dryer, 2 refrigerators. Fabulous 4 bedroom, 2.5 bath home for rent in Briarmeadow. Spacious home with tons of upgrades including all new paint, new flooring, updated electrical, updated appliances and more. Large Formal Living and Dining Rooms, gorgeous dual sided fireplace, wall to wall built-ins, Den that opens up to enclosed porch, French Doors open to backyard. Updated kitchen with loads of storage, indoor utility room, double paned windows, upgraded ceiling fans, four generous sized bedrooms, oversized Master closet and bath. Lots of natural light. 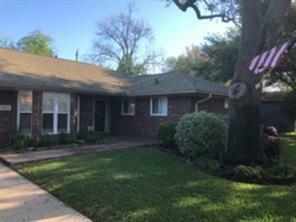 Beautiful home in convenient Briarmeadow minutes to the Galleria, City Centre, easy freeway access. Briarmeadow offers a private pool only for residents, private trash pick up twice a week and curbside recycling, constables on patrol, and award winning Briarmeadow Charter School pk-8th! Stunning 3/2/2 in desirable Briarmeadow on an interior oversized lot with a pool! You will immediately be impressed with the curb appeal of this home. The front yard has a magnificent oak tree that welcomes you home each and every day. Recent updates per seller***Foundation repaired, new driveway and front walk, front porch, underground plumbing, Bamboo flooring in entry, formal living/dining/breakfast/kitchen/living/utility. Exterior of home repainted to include garage and floor, guest bathroom remodeled and gutters. Lennox A/C condenser*** Briarmeadow is a community of approximately 684 homes that has a club house, park, tennis courts and swimming pool. The HOA is very active and your annual dues also includes patrol by Precinct 5 Constable Dept. Located 12 miles from Downtown, this home is very centrally located to major thorougfares, shopping and entertainment to include all of the major sporting venues. Home has so much to offer, you really need to see it to appreciate it! Lovingly cared for and meticulously maintained 3bed 2bath home, nestled on a highly sought after street in desirable neighborhood of Briarmeadow. 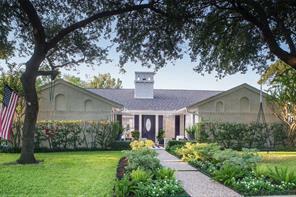 Year round curb appeal is highlighted by manicured landscaping & Zoysia grass providing scenic front & backyard views. Interior updates & features include granite kitchen counters, gas cooktop, S/S appliances, breakfast bar & breakfast room. Gorgeous formal Living/Dining rooms & sizable Family room, crown moldings, gas fireplace, window bench seating, recessed lighting, plantation shutters & wood floors throughout. Large Master w/ walk-in closet and built-in dresser. Automatic driveway gate, backyard playground, covered back patio and so much more. 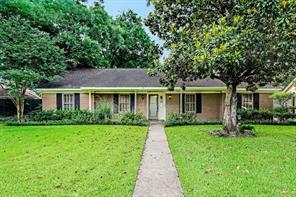 Fantastic opportunity to be centrally located and minutes from Galleria! Come see! NO SHOWINGS UNTIL OH 9/9. Outstanding traditional four bedroom and 2.5 bath home located in Briarmeadow and situated on a 9375 sq. ft. lot (per HCAD) with access to the wonderful Briarmeadow Park . 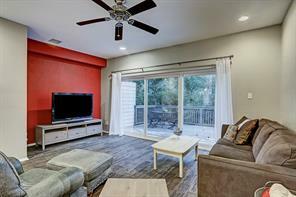 This fabulous home features an inviting front entry courtyard; beautiful dining room overlooking front courtyard; large family room with fireplace; an updated granite kitchen with subway tile backsplash and stainless appliances (2015 and 2018); breakfast room with built-ins; and a study/gameroom. Other features include a master suite overlooking backyard and pool with two walk-in closets and a granite master bath with updated shower. Fully fenced back yard with pool, covered porch, oversized garage with space for workshop, and automatic sprinkler & mosquito control systems. ORIGINAL OWNER!! NEVER FLOODED!! 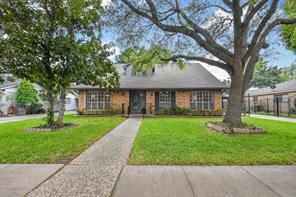 Desirable home located on a quiet tree lined street in sought after Briarmeadow subdivision in the heart of Houston! Enter this spacious 2 story home to an open and bright formal living and dining room. 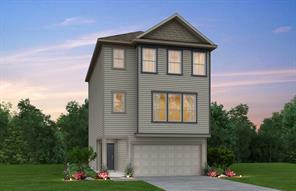 This family friendly floor plan includes large family room, 4 bedrooms, 2.5 baths, and an extended 2 car garage, including a covered car port. The oversized secondary bedrooms could convert to an office, game room, or media room. Other features include built-in shelving in family room and in one of the upstairs bedrooms, multiple walk-in closets, stainless steel double oven, iron gate for added privacy of driveway, Roof replaced in 2017, A/C replaced in 2016, and water heater replaced in 2014. Don’t miss this perfect opportunity to purchase this prime real estate and turn it into your dream home!! MUST SEE! Spacious Briarmeadow home has a room for everyone! The living space offers a vaulted ceiling, dining room, family room, kitchen & study. The possibilities are endless on what you can do with all of these rooms. Kitchen has stainless appliance, dble ovens, granite counters, & grey wood like floors. Large breakfast room opens to den. 5 bedrooms w great closet space. 2 bedrooms and the Master Bath and closet were added on in 2016. Large Master Bath w double sinks & 2 vanities w marble counters, walk in custom shower & separate bath tub & huge walk in custom California closet. The attached garage has been converted to the a theatre, but can easily be turned back to a garage if needed (not included in sq ft). Grassy back yard has room for a playset & patio area, also a side patio. 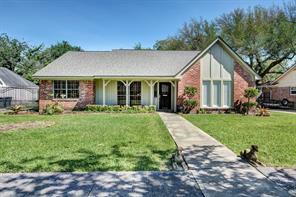 Don't miss this great home priced to sell in the desirable family friendly Briarmeadow neighborhood. Briarmeadow has a Constable, pool, clubhouse, park w/ tennis courts, backdoor trash service. 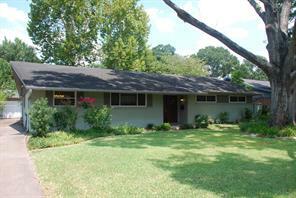 Charming Mid-century Briarmeadow 4/3/2 home on large wooded lot that has never flooded! Upgraded in 2018 with new interior/exterior paint & lush landscape. Very spacious floorplan with large Dining/Family/Gameroom formals, oversized windows, covered front porch, hardwood floors throughout, recent light fixtures, Granite-stone kitchen fully equipped with gas stove grill & stainless steel appliances included. Large bedrooms & closets with shelves + closets & Plantation shutters throughout. Two Vintage tiled baths & upgraded Master bath with new sink & light Fixtures. Great backyard fully fenced & landscaped to perfection 2018, cozy paved deck & lots of sitting areas for entertaining. Large detached 2-car garage with extra fridge included. Convenient wet bar on gameroom & lots of extra storage room + driveway gate. 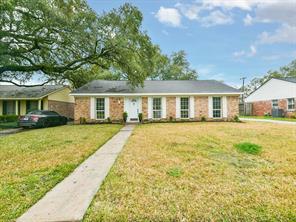 Fantastic family neighborhood, low HOA fees & stellar city location with easy access to Houston prime entertaining & all major freeways. Must see! New listing priced to move quickly! Stunningly updated 3 bedroom home in sought-after Briarmeadow perfectly positioned on quiet street offering well designed spacious, open floor plan balancing beauty w/ refined details. 2018 remodel includes: new roof, electrical, plumbing, AC, water heater, windows, wide plank flooring, bright quartz counters, stylish subway tile backsplash, stainless appliances, farm sink, gas range, site-built cabinetry, w/tons of storage, on trend lighting; all while preserving original charm. Remodeled private master retreat w/ large walk-in closet, ensuite bath, dual sinks & walk-in seamless glass shower. All bedrooms have large closets. 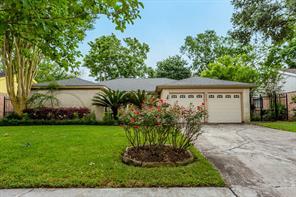 Tranquil backyard w/ covered patio, ample room for a pool & mature live oak. 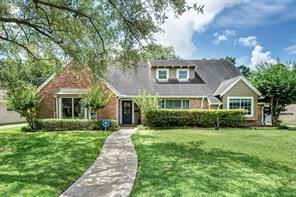 Come join this family friendly neighborhood in prime location w/ easy access to Galleria, Medical Center & Downtown which includes International Baccalaureate school opportunities w/ low tax rate, short walk to tennis, trails & pool at an amazing price. 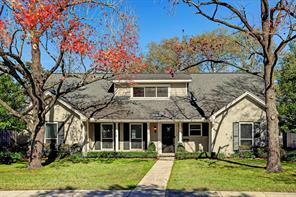 Beautifully updated home with hardwood floors throughout all living areas. Kitchen accented with hand painted backsplash, Corian Counters, glass front cabinets and island cooktop. Updates: Windows Replaced, Exterior Siding Replaced, Water Heater, Root Barrier, Interior Paint, Replaced Sewer Drain lines, New Carpets in Bedrooms, Fence Replaced, Gutters with Leaf Guard, Plantation shutters, crown molding, recessed lighting throughout. Backyard has heated pool and hot tub. This house in clean and ready for move-in. A MUST SEE! Amazing designer updates galore! This charming home has been well cared for and updated in just about every room. The kitchen has a beautiful island with plenty of room for preparing your favorite dishes and celebrating with friends and family. Upgraded appliances and cabinetry throughout. Wait until you see the amazing pavilion and the wood accent walls and ceilings outside. Amazing family home in Briarmeadow w/ many updates* throughout! Great flowing floor plan w/ Den, game room, & master all open to patio through French doors. Hardwood & travertine flooring throughout. Kitchen is a cooks delight w/ all major amenities. Recent* interior paint throughout. Home will not last long! *Per Seller. Amazing family home in Briarmeadow w/ many updates* throughout! Great flowing floor plan w/ den, game room, & master all open to patio through French doors. Hardwood & travertine flooring throughout. Kitchen is a cook's delight w/ all major amenities. Recent* interior paint throughout. Home will not last long! *per Seller. BACK ON THE MARKET, Approval Fell Through!!!! This absolutely GORGEOUS and completely renovated home is a MUST SEE! Modern/contemporary style with an open flexible floor plan makes it perfect for entertaining. Kitchen includes stainless steel appliances, an abundance of cabinets, a large granite island with cooking range and impeccable finishes. You will be highly impressed with the attention to detail in the master bathroom, creating a luxury spa atmosphere. The spacious and open backyard allows for adding a pool or covered patio. All new electrical wiring throughout house and new underground plumbing. Come see this beautiful home today!!! RECENTLY UPDATED, 2018; HIGH AND DRY FROM HARVEY!! 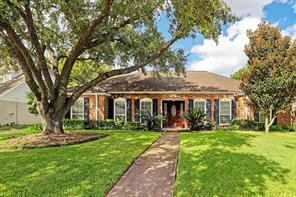 Sought after BRIARMEADOW Subdivision in the Heart of Houston!! Spacious two story family home on beautiful interior tree lined street. Great floor plan, 4 bedrooms, 2 baths, large kitchen open to den with breakfast nook and eat-in bar, formal living and dinning, game room and interior laundry/mud room. Master and 1 bedroom down..perfect for nursery, office or work-out room. Two bedrooms, game room and bath up. Beautiful refinished original hardwood floors, new carpet, new lighting and chandeliers, decorator Sherwin Williams paint, large closets with plenty of storage, large yard and much more! Foundation repaired with lifetime transferable warranty! Neighborhood park, pool, tennis courts, walking trail, playground and patrol, and the Award winning Briarmeadow Charter School (K-8). Close to Galleria, shopping, restaurants, entertainment and business. 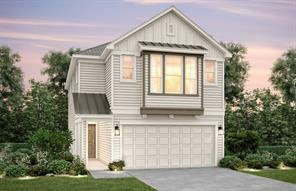 Move in ready...PRICED for your own additional upgrades. Come make it your own!! This 3 story home is a wonderful place to call home. As you travel inside, the first floor is outfitted with a multi-gen living space with a mini fridge, slide in oven range, and access to the back patio. Journey upstairs to the second floor, where the gathering room flows to the kitchen. The kitchen is outfitted with stainless steel appliances, upgraded countertops and a large walk-in pantry! Right off the kitchen is a sunroom where you can enjoy mornings and afternoons or enjoy them on the 2nd floor deck right off the sunroom. The 3rd floor is an absolute retreat with the owner's suite and secondary bedrooms. The owner's ensuite bath has a relaxing shower and double vanity sinks, you will never want to leave. Directly off the owner's suite is a flex space perfect for an office area. This home is available for Immediate Move-In! NOT flooded by Harvey! Note: Property is currently tenant occupied until 06/30/2018. One hour prior notice to tenants required for appointments. Please call CSS to schedule your showing. 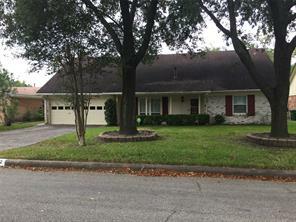 Beautiful 4 bedroom /2 bath home in desirable Briarmeadow subdivision. This property offers a spacious kitchen with granite countertops & stained cabinets, separate breakfast area, bright living room with cathedral ceiling & wood burning fireplace, formal living/dining area, elegant master features 2 walk-in closets and bath with 2 separate vanities, 3 additional spacious bedrooms, utility room, beautiful backyard with private patio & detached 2-car garage. Briarmeadow is a “Family Friendly” neighborhood. Beautifully remodeled home with attention to detail. The home has plantation shutters in the Formal Living and Dining Room with a lovely entrance. 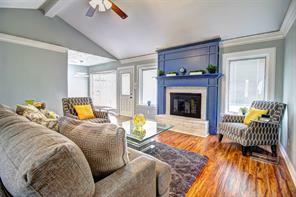 The Den has an inviting wood burning fireplace with built-ins and high ceilings, hardwoods. The kitchen boasts granite countertops and a sunny breakfast room that looks onto the oversized backyard. The bathrooms have been updated with gorgeous tile and vanity's that are beautiful furniture pieces. 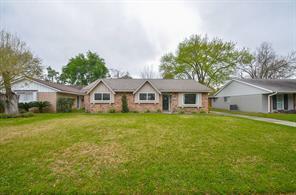 This 3 bedroom 2 bath home sits on a gorgeous lot with a covered brick backyard patio, excellent for entertaining. The oversized master suite even has a separate dressing area. Great neighborhood! This 3-story home, located on an oversized corner lot, was smartly designed for homeowners in mind. The first floor features a downstairs bedroom with full bath making out of town guests feel right at ease. Travel upstairs to see the impressive kitchen that opens to the gathering room making entertaining fun with its upgraded countertops, cabinets and stainless steel appliances. Beautiful wood flooring can be found in most of the main areas with carpet in the bedrooms. Speaking of bedrooms, head on over to the 3rd floor owner's suite and relax after a long, hard day. The owner's bath is a great place to also relax with its double vanity sinks and spacious bath shower. 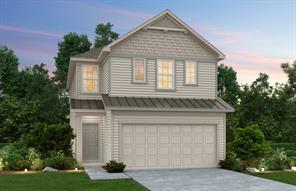 This home will be available for August 2019 Move-In! Gorgeous open entertainers dream home with a designer interior! This amazing beauty has a traditional design with a modern flair w/newly Refinished Hardwood floors (May '18), New Custom Paint (May '18), vaulted ceilings, new fixtures, freshly painted cabinets, tons of built-ins and designer mill-work & trim throughout. Imagine the possibilities with the elegant foyer, open dining room, huge living room with walls of windows that overlooks the spacious deck & patio. Convenient wet bar right off the living area just next to the kitchen. Great kitchen has Bosch dishwasher, Thermador cooktop & designer Kohler sinks. Gorgeous master suite has French doors that access that patio. Incredible master bath with tons of built-in drawers. Great low maintenance yard, sprinklers, gated driveway w/tons of extra parking and gated front porch! 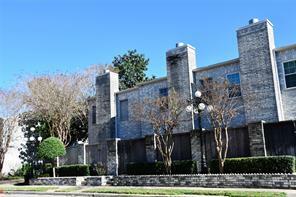 Minutes from the World Famous Houston Galleria, Downtown Houston, Medical Center and more! Hurry, won't last long! NEVER FLOODED!!! Selling for lot value. Great location for a small business. 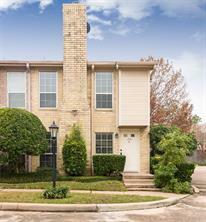 Easy access to Westpark and the Southwest Freeway. 15,120 square foot lot per HCAD. Situated in the highly coveted area of West Houston, Briarmont offers modern 2 and 3 story floor plans for those who want to be in the heart of the action. Residents will enjoy the privacy of a gated community and onsite pool and outdoor kitchen area all with quick access to main thoroughfares like the 610 loop, Beltway 8, and Highway 59. The Kingsbury’s open design connects the kitchen and café to the gathering room with a spacious sunroom at the back of the home and 2nd Floor Deck for outdoor living. Upgrades include: Wood Floors, Tile & Carpet selections, Crown Molding, Metal Balusters, & Inviting Master Suite. The Multi-Gen Suite on the 1st Floor is equipped with cabinets, range, microwave, mini-fridge & sink. Briarmont features a Community Pool/Outdoor Kitchen. Available for July Move-In! Call 866-837-9705 to schedule a viewing. This 3 story home that features a shed roof is a wonderful place to call home. As you travel inside, the first floor is outfitted with a multi-gen living space with a mini fridge, slide in oven range, and access to the covered patio. Journey upstairs to the second floor, that is perfect for entertaining guests. You will be greeted by a bright, white, airy kitchen that includes a farmhouse sink, subway tile backsplash, and a HUGE walk-in pantry. Enjoy mornings and afternoons on the 2nd floor deck right off the sunroom. The 3rd floor is outfitted with a spacious, beautifully lit owner's suite with tray ceilings and ensuite bath that has shower with bench seat and separate tub. Directly off the owner's suite is a flex space perfect for an office area. This home is available for Immediate Move-In! Situated in the highly coveted area of West Houston, Briarmont offers modern 2 and 3 story floor plans for those who want to be in the heart of the action. Residents will enjoy the privacy of a gated community and onsite pool and outdoor kitchen area all with quick access to main thoroughfares like the 610 loop, Beltway 8, and Highway 59. The Lindley's first floor features a generous area for a game room that the whole family can enjoy. The open design of the second floor connects the kitchen and café to the gathering room with a spacious sunroom at the back of the home, a powder bath, and 2nd Floor Deck for outdoor living. Upgrades include: wood floors, tile & carpet selections, optional powder bath, crown molding, metal balusters, & inviting Owner's Suite. Briarmont features a Community Pool/Outdoor Kitchen. Available for October Move-In! Call 866-837-9705 to schedule a viewing. Situated in the highly coveted area of West Houston, Briarmont offers modern 2 and 3 story floor plans for those who want to be in the heart of the action. Residents will enjoy the privacy of a gated community and onsite pool and outdoor kitchen area all with quick access to main thoroughfares like the 610 loop, Beltway 8, and Highway 59. 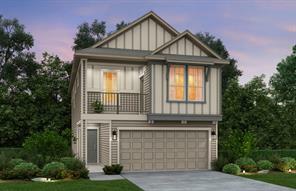 The Lindley includes an open layout and three levels of living spaces. The gathering room flows to the kitchen with a sunroom in the back and the Owner’s Suite is complete with a walk-in closet & sitting area. Plus 1st Floor Game room & Half Bath. Upgrades include: Wood Floors, Tile & Carpet selections, Crown Molding, Metal Balusters, & Inviting Master Suite. The 2nd Floor Deck & 1st Floor Covered Patio overlook the backyard. Briarmont features a Community Pool/Outdoor Kitchen. Available for September Move-In! This amazing 3-story home offers luxury and functionality. The entry floor is outfitted with a gameroom making game nights and friend get-togethers super fun and easy. You can even enjoy the day or night outside on your back patio. Travel to the second floor to find the generous gathering room open to the large café and kitchen to make entertaining a breeze. The upgraded hardwood, tile, and carpet can be found throughout all the main areas of the home. The kitchen will become your favorite part of the home with its upgraded 42" upper cabinets, granite countertops and state of the art stainless steel appliances. If you need some rest and relaxation, head over to the owner's suite and the owner's bath that has double vanity sinks and a separate tub & shower layout. What could make this home better? You will have an amazing view of the community pool! Available for June Move-In! This amazing 3-story home offers luxury and functionality. The entry floor is outfitted with a gameroom making game nights and friend get-togethers super fun and easy. You can even enjoy the day or night outside on your back patio. Travel to the second floor to find the generous gathering room open to the large café and kitchen to make entertaining a breeze. The upgraded hardwood, tile, and carpet can be found throughout all the main areas of the home. The kitchen will become your favorite part of the home with its upgraded 42" upper cabinets, granite countertops and state of the art stainless steel appliances. If you need some rest and relaxation, head over to the owner's suite and the owner's bath that has double vanity sinks and shower. And the best part...this home has a view of the community pool. Available for July 2019 Move-In! Situated in the highly coveted area of West Houston, Briarmont offers modern 2 and 3 story floor plans for those who want to be in the heart of the action. Residents will enjoy the privacy of a gated community and onsite pool and outdoor kitchen area all with quick access to main thoroughfares like the 610 loop, Beltway 8, and Highway 59. 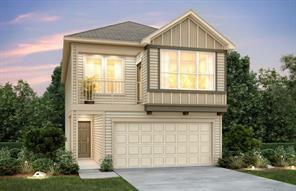 The Aldine features an open main living area and spacious Master Suite. The stunning kitchen opens directly to the café and gathering room, creating ideal flow for entertaining. A full bedroom, bath & gameroom is perfect for any guest. 2nd Floor Deck & Covered Patio for outdoor living. Upgrades include: Wood Floors, Tile & Carpet selections, Crown Molding, Metal Balusters. Available for September Move-In! Call 866-837-9705 to schedule a viewing. When you walk in this 3-story home, you will be greeted by beautiful wood flooring. The highlight of the first floor is the guest bedroom with a full bath. This is the perfect addition to a home when entertaining guests because it provides space and comfort. Travel upstairs to the 2nd floor and you will notice the wood flooring along with the comforting tone of the open gathering room and kitchen. The stunning kitchen opens directly to the café and gathering room, creating ideal flow for entertaining. Cooking will be a breeze with the stainless steel appliances, plenty of counter space and a spacious pantry. Want to enjoy the outdoors? Relax on your 2nd Floor Deck or the 1st floor Covered Patio. The owner's suite will make you never want to leave. It is relaxing spot for any homeowner. Highlights of the room include a dramatic tray ceiling, double vanity sinks in the owner's bath along with the tile surround shower. Best part, no rear neighbors! Home is available for Immediate Move-In! This home is perfect for entertaining. As soon as you walk in, you will notice the open concept layout of the first floor. It was specifically designed to make living functional. The gathering room connects seamlessly with the cafe and kitchen. The kitchen is the heart of this home. It features state of the art stainless steel appliances, upgraded 42" upper cabinets, upgraded countertops and beautiful pendant lighting. Travel upstairs to the 2nd floor where all the bedrooms are. The upstairs Owner's Suite and secondary bedrooms are perfect for growing families. The tray ceiling in the owner's suite add a dramatic touch to the room. The owner's ensuite bath features double vanity sinks and relaxing shower. Enjoy the outdoors? Relax al fresco on your covered back patio. Available for June 2019 Move-In! Situated in the highly coveted area of West Houston, Briarmont offers modern 2 and 3 story floor plans for those who want to be in the heart of the action. Residents will enjoy the privacy of a gated community and onsite pool and outdoor kitchen area all with quick access to main thoroughfares like the 610 loop, Beltway 8, and Highway 59. 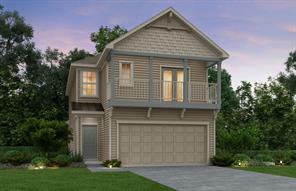 The Conroe features an open main living area and spacious Owner's Suite. The stunning kitchen opens directly to the café and gathering room, creating ideal flow for entertaining. Upgrades include: double vanity and optional shower surround in Owner's Bath, upgraded kitchen countertops and cabinets, and beautiful tray ceilings in the Owner's Suite. Available for November Move-In! Call 866-837-9705 to schedule a viewing. Situated on an oversized, corner lot this home is incredible! The spacious kitchen, with its granite countertops, upgraded cabinets and stainless steel appliances, opens to the cafe and gathering room. Smartly designed provide plenty of room, the second floor is ideal for welcoming guests and family alike. This home though is not just about entertainment, it's about comfort. The upstairs Owner's Suite and secondary bedrooms offer tranquility and relaxation. Retreat to your owner's suite that features a separate tub and shower in the owner's bath along with double vanity sinks. It will be available for February 2019 Move-In! Situated in the highly coveted area of West Houston, Briarmont offers modern 2 and 3 story floor plans for those who want to be in the heart of the action. Residents will enjoy the privacy of a gated community and onsite pool and outdoor kitchen area all with quick access to main thoroughfares like the 610 loop, Beltway 8, and Highway 59. The Pinehurst is perfect for entertaining, with a spacious kitchen open to the cafe and gathering room. The upstairs Owner's Suite and secondary bedrooms are perfect for young growing families. This home has upgrade: Cabinets, Granite Counters, Stainless Steel Appliances, Tile & Carpet, and Backyard with Covered Patio. 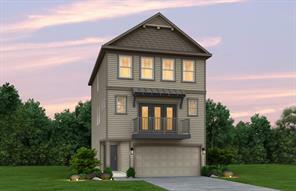 Other details include: Metal Balusters, 2-Tone Paint, Tray Ceilings, & Inviting Master Suite. Briarmont features a Community Pool/Outdoor Kitchen. 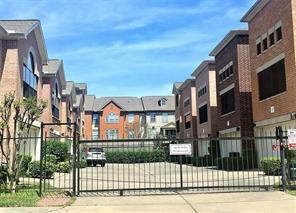 Available for July Move-In! Situated in the highly coveted area of West Houston, Briarmont offers modern 2 and 3 story floor plans for those who want to be in the heart of the action. Residents will enjoy the privacy of a gated community and onsite pool and outdoor kitchen area all with quick access to main thoroughfares like the 610 loop, Beltway 8, and Highway 59.The Pinhurst's open flow design is perfect for entertaining with a spacious kitchen open to the café and gathering room. The upstairs Owner's Suite and secondary bedrooms are perfect for young growing families. 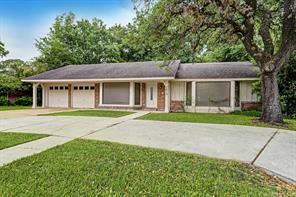 This home has upgrades: upgraded cabinets, granite counters, and stainless steel appliances. Other details include: Metal Balusters, Tray Ceilings, & an Inviting Owner's Suite with shower surround and a framed mirror. Briarmont features a Community Pool/Outdoor Kitchen. Available for November Move-In! Call 866-837-9705 to schedule a viewing. 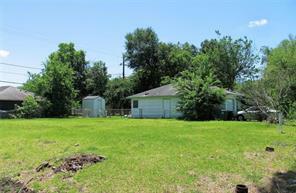 Ideal location for residential or commercial as this is an unrestricted property. This amazing 3-story home offers luxury and functionality. The entry floor is outfitted with a gameroom making game nights and friend get-togethers super fun and easy. You can even enjoy the day or night outside on your back patio. Travel to the second floor to find the generous gathering room open to the large café and kitchen to make entertaining a breeze. The upgraded hardwood, tile, and carpet can be found throughout all the main areas of the home. The kitchen will become your favorite part of the home with its upgraded 42" upper cabinets, granite countertops and state of the art stainless steel appliances. If you need some rest and relaxation, head over to the owner's suite and the owner's bath that has double vanity sinks and a separate tub & shower layout. And the best part...this home is available for Immediate Move-In! The two-story home features two bedrooms and a full bath on the first floor with a patio perfect for relaxing making it perfect for guests and family to stay overnight. With the owner's suite on the second floor the separation makes everyone comfortable. The 2nd story is where entertaining will thrive. As you walk upstairs, you will see upgraded hardwood flooring that leads to an open concept layout. The kitchen is a fantastic spot to cook with your modern upgrade chrome finishings with white cabinet/black countertops. This home features a rear deck off the gathering room overlooking the pool, making relaxation outside all too easy. Retreat to your owner's bath with double vanity sinks and relaxing shower. Available for Immediate 2019 Move-In! Situated in the highly coveted area of West Houston, Briarmont offers modern 2 and 3 story floor plans for those who want to be in the heart of the action. Residents will enjoy the privacy of a gated community and onsite pool and outdoor kitchen area all with quick access to main thoroughfares like the 610 loop, Beltway 8, and Highway 59.The Leland's open flow design is perfect for entertaining with a spacious kitchen open to the café and gathering room. The upstairs Owner's Suite and secondary bedrooms are perfect for young growing families. This home has upgrade: Cabinets, Granite Counters, Stainless Steel Appliances, Tile & Carpet, and Backyard with Covered Patio. 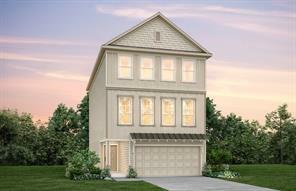 Other details include: Metal Balusters, Tray Ceilings, & Inviting Master Suite with Spa Shower. Briarmont features a Community Pool/Outdoor Kitchen. Available for September Move-In! Call 866-837-9705 to schedule a viewing. Established community of Tanglewilde - DID NOT FLOOD! MOVE IN READY! 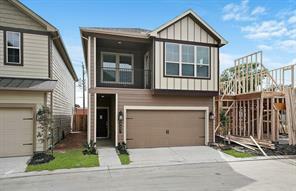 Lovely 3 bedroom/3 bath home easy access to Beltway 8 and Westpark Tollway. 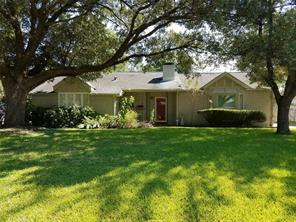 Great floor plan with updates throughout including granite counters in kitchen and all bathrooms, abundant kitchen cabinets, GE Profile appliances, Perlick Wine Refrigerator, Generac generator, tankless water heater, water filtration system, 3 year old roof, plantation shutters, and updated landscaping. A must see! Beautiful 3 story 3/3.5/2, Nice Wood floor in LR,DR,BK & kitchen. Living room with Corner fireplace. Granite kitchen counter top, stainless appliances, microwave, refrigerator included; Jacuzzi & separate shower in master bath. Ceiling fans in all bedrooms; Game room up; attached garage w/opener. Near shopping center & freeways. Seller is motivated. Move in ready. Situated in the highly coveted area of West Houston, Briarmont offers modern 2 and 3 story floor plans for those who want to be in the heart of the action. Residents will enjoy the privacy of a gated community and onsite pool and outdoor kitchen area all with quick access to main thoroughfares like the 610 loop, Beltway 8, and Highway 59. This 2 Story Home, the Appleridge's Gathering Room that opens onto a beautiful kitchen and café makes it ideal for entertaining. Upgrades include a Deck off Master Bedroom, Upgraded Countertops, Stainless Steel Appliances, Wood Floors, Carpet & Tile, Lighting and so much more. Available for July Move In! Call 866-837-9705 to schedule a viewing. LOOK NO MORE....FANTASTIC FLOORPLAN on great street! Large 5 bedroom home, or 4 bedroom + office, recently totally REMODELED...once inside you will fall in love with the updates...... recent interior painting, perfect updated kitchen for entertaining featuring granite counter tops, new cabinets with under mount lighting, new appliances, island station, new flooring throughout downstairs, new electrical outlets, new doors opening to large decked private back yard. Replaced hot water heater. NEW ROOF 2019 Two bedrooms down and three more up or 2 plus office!!! Outside.... new landscaping, exterior paint and better lighting will draw you to this large corner lot in highly desirable Tanglewilde neighborhood. 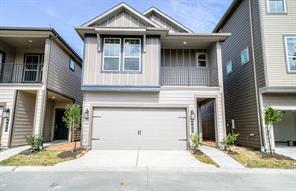 Shows great and is ready for move in! 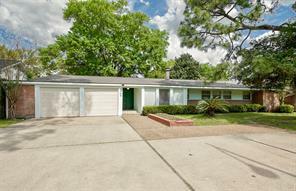 Superb house for the price in great location close to Westheimer, Westpark Tollway and BW8! NEVER FLOODED!! Call today for appt! 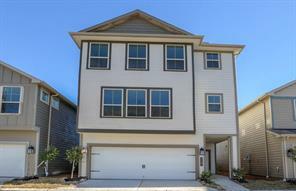 THIS IS A WELL DONE 1 1/2 STORY UPDATED 4/3/2 WITH A PAVER COVERED 33X24 COVERED BACK PATIO. 3 BEDROOMS AND 2 BATHS DOWN AND ANOTHER MASTER UP WITH A KILLER BATH AND A GAMEROOM PLUS A MEDIA ROOM(ADDED BY PREVIOUS OWNER/BUILDER). THERE IS ALSO A 352 SQFT BUILDING WITH A METAL ROOF IN THE BACK YARD THAT COULD BE AN OFFICE/WORKSHOP ETC. (IT HAS AC). THE YARD IS WELL LANDSCAPED, PAVER WALKWAYS AND COVERED FRONT PATIO. RECESSED LIGHTS, SURROUND SOUND, HARDWOODS, STAINLESS APPLIANCES,NEW 14 SEER AC, SECURITY SYSTEM, 6"CROWN MOLDING, 16" TILE. MASTER UP OR DOWN!!!! This 2-story home, located on a corner lot, was smartly designed for homeowners in mind. The first floor features a 9 ft. ceilings and a downstairs bedroom with full bath making out of town guests feel right at ease. The impressive kitchen, located on the second floor, opens to the gathering room, with dramatic tray ceiling, making entertaining fun with its upgraded countertops, cabinets and stainless steel appliances. Homeowners will look forward to coming home after a long day, they can head on over to the 2nd floor owner's suite with tray ceiling and relax. The owner's bath is a great place to also relax with its double vanity sinks and spacious shower. This home is available for August 2019 Move-In! 3-story townhouse, 4 bedrooms, 3.5 bathrooms; well maintained; very conveniently located to major highways, shopping centers and groceries. This 2-story home, located on an oversized corner lot with no back neighbors, was smartly designed for homeowners in mind. The first floor features a downstairs game room and bedroom with full bath making out of town guests feel right at ease. Guests can even have their own private time on the backyard patio. The impressive kitchen, located on the second floor, opens to the gathering room making entertaining fun with its upgraded countertops, cabinets and stainless steel appliances. Beautiful wood flooring can be found in most of the main areas with carpet in the bedrooms. Speaking of bedrooms, head on over to the 2nd floor owner's suite and relax after a long, hard day. The owner's bath is a great place to also relax with its double vanity sinks and spacious bath shower in. This home is available for Immediate Move-In! This 2-story home, located on a corner lot, was smartly designed for homeowners in mind. The first floor features a 9 ft. ceilings and a downstairs bedroom with full bath making out of town guests feel right at ease. The impressive kitchen, located on the second floor, opens to the gathering room, with dramatic tray ceiling, making entertaining fun with its upgraded countertops, cabinets and stainless steel appliances. Homeowners will look forward to coming home after a long day, they can head on over to the 2nd floor owner's suite with tray ceiling and relax. The owner's bath is a great place to also relax with its double vanity sinks and spacious shower. This home is available for May 2019 Move-In! Situated in the highly coveted area of West Houston, Briarmont offers modern 2 and 3 story floor plans for those who want to be in the heart of the action. Residents will enjoy the privacy of a gated community and onsite pool and outdoor kitchen area all with quick access to main thoroughfares like the 610 loop, Beltway 8, and Highway 59. The two-story Redding provides a great separation of space with its first-floor secondary bedrooms and its second story kitchen with gathering room and owners suite. This home features front and rear decks, off of both the master and dining area. This home has upgrade: Wood Floors, Cabinets, Granite Counters, Stainless Steel Appliances with Vent Hood, Tile & Carpet, and 2nd Floor Deck overlooking Large Backyard. Other details include: Tray Ceilings, & Inviting Owner's Suite. Briarmont features a Community Pool/Outdoor Kitchen. Available for December Move-In! Call 866-837-9705 to schedule a viewing. Situated in the highly coveted area of West Houston, Briarmont offers modern 2 and 3 story floor plans for those who want to be in the heart of the action. Residents will enjoy the privacy of a gated community and onsite pool and outdoor kitchen area all with quick access to main thoroughfares like the 610 loop, Beltway 8, and Highway 59. The two-story Fallbrook's unique layout features two secondary bedrooms downstairs and a spacious upstairs owner's retreat. The impressive kitchen opens to the gathering room making entertaining a breeze. Located on an oversized corner lot with no back neighbors. Front and rear decks! This home has upgrades including: Wood Floors, Cabinets, Granite Counters, Stainless Steel Appliances, Tile & Carpet, and spacious patio on first floor and Tray Ceilings, Double Vanity in Owner's Bath & an Inviting Owner's Suite. Briarmont features a Community Pool/Outdoor Kitchen. Available for January 2019 Move-In! Call 866-837-9705 to schedule a viewing. This two-story is a unique layout of comfort and smartly designed space. The first floor has two secondary bedrooms downstairs perfect for guests to come and stay overnight on the weekend and they can even enjoy the outdoors on the patio. Continue upstairs to your 2nd floor where you will be greeted by the impressive kitchen that opens to the gathering room making entertaining a breeze. The granite countertops, upgraded cabinets and stainless steel appliances highlight the kitchen. Enjoy a nice afternoon on your rear deck! Located on an oversized corner lot with no back neighbors, you can relax knowing this space is all yours. The owner's suite is outfitted with a beautiful tray ceiling, double vanity sinks in Owner's Bath. Available for January 2019 Move-In! Situated in the highly coveted area of West Houston, Briarmont offers modern 2 and 3 story floor plans for those who want to be in the heart of the action. Residents will enjoy the privacy of a gated community and onsite pool and outdoor kitchen area all with quick access to main thoroughfares like the 610 loop, Beltway 8, and Highway 59. The two-story Appleridge's gathering room that opens into a beautiful kitchen and café makes it ideal for entertaining. This home features upgrades such as granite countertops, stainless steel appliances, tray ceilings in Gathering room and Owner's Suite, and double vanity in Owner's Bath. Available for November Move-In! Call 866-837-9705 to schedule a viewing. Luxury Remodel last month. New tile flooring and paint. Large modern marble bathroom and walk-in shower. Beautiful remodeled bathrooms. New double pane windows. Ready to move in. Corner fenced lot. Living room has fireplace. Garage is converted to large 820 square foot separate guest quarters thus larger than Appraisal district square feet. Carport for 2 cars. Possibly 2,461 square feet. Corner fenced lot for your pets. This lovingly remodeled home features glossy hardwood floors. A stunning epicurean kitchen is highlighted with wood styled tile, recent appliances, granite countertops and recent cabinets. A large master retreat with signature shower will comfort the homeowner. Beautiful secondary bedrooms and bathrooms make this home perfect for everyone. A covered back patio and private backyard make this home a wonderful retreat. Mature oak trees have been arbored beautifully to make this look like a storybook setting. Fresh paint throughout the entire home. Garage features a small office, perfect for working at home. Home also features a tankless water heater. 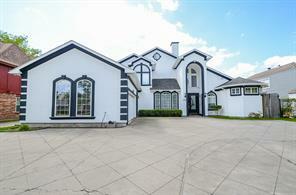 Lovely and special 3 story home with 3.5 baths and 2 attached garages. 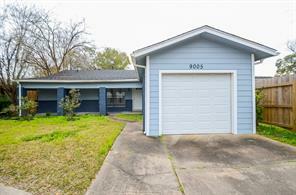 Home features: Nice Wood floor in most common areas; open floor plan; living room with Corner fireplace; kitchen with granite counter top, stainless steel appliances, microwave, refrigerator included; master bath with Jacuzzi tub & separate shower; ceiling fans in all bedrooms, Game room up. 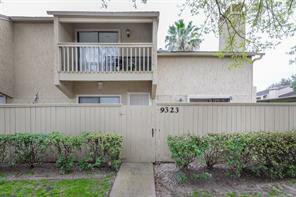 Nice and convenient location, close to shopping center & freeways. 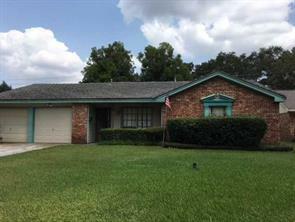 This home is very well maintained and ready for you to move in. Never flooded. Situated in the highly coveted area of West Houston, Briarmont offers modern 2 and 3 story floor plans for those who want to be in the heart of the action. Residents will enjoy the privacy of a gated community and onsite pool and outdoor kitchen area all with quick access to main thoroughfares like the 610 loop, Beltway 8, and Highway 59. The two-story Fallbrook's unique layout features two secondary bedrooms downstairs and a spacious upstairs owner's retreat. The impressive kitchen opens to the gathering room making entertaining a breeze. This home has upgrades including: Wood Floors, Cabinets, Granite Counters, Stainless Steel Appliances with Vent Hood, Tile & Carpet, and spacious patio on first floor. Other details include: Tray Ceilings, Double Vanity in Owner's Bath & an Inviting Owner's Suite. Briarmont features a Community Pool/Outdoor Kitchen. Available for January 2019 Move-In! Call 866-837-9705 to schedule a viewing. The two-story home provides a great separation of space with its first-floor secondary bedrooms and its second story kitchen that opens to the gathering room. Wood flooring accents the 2nd floor, adding a warm touch to the home. The kitchen is a wonderful place to enjoy entertaining. Cooking will be easy with the granite counter space and stainless steel appliances. With the dining area right off the kitchen, guests can be easily entertained while you make a delicious meal. The 2nd Floor Deck overlooks the large backyard and gives you the chance to enjoy the great outdoors. Relax in the comfort of your owner's suite that features a relaxing owner's bath and his and her walk-in closets. Watch sunrises and sunsets on the front balcony right off the owner's suite. The best part? It's available for Immediate Move-In! What an amazing home on a unique 1/4 acre lot! Tucked into the heart of the neighborhood on a quiet street, this well maintained home is move-in ready. Enjoy your large backyard with covered patio and plenty of room for your outdoor activities. This home has a great, functional floor plan with tons of storage and stylish updates throughout. Boasts solid surface floors, recessed lighting, updated kitchen/baths, many built-in features, and large game room. This property is truly one of a kind in Tanglewilde! Appraisal district does not include the converted game room which adds an additional 260 square feet. GREAT PRICE!!! Stunning, bright, and open entertainers dream home with a designer interior! This amazing beauty has a traditional design with a modern flairs. High ceilings, new fixtures, light lamp post in front of the house, tons of built-ins, recently shampooed carpet, tile floor,. Formal dining room/formal living/office with beautiful builtin wood shelves, huge living room with walls of windows that overlooks the tranquil backyard view. Gorgeous master suite with access to the patio. and master bath with tons of built-in drawers. 4 YO AC and New roof. 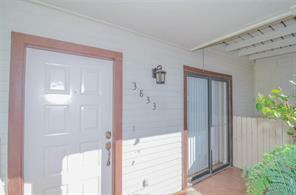 Imagine the possibilities with this spacious covered & screened patio w/ outside sink. Yard has sprinklers system and super wide extended driveway. 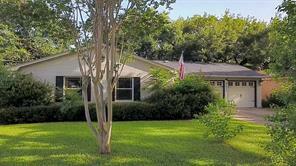 Convenient located right across the street from the Briar Meadow club house, park, tennis courts. Minutes from the World Famous Houston Galleria, Downtown Houston, Medical Center and more. NEVER FLOODED!!! This is such a great, spacious house. It has been remodeled and is very clean and has many updates. There is a huge room upstairs which could be a playroom or master bedroom. There is a small room upstairs which is perfect for a little office or a baby room. Great full bath with separate tub and separate shower. Also a walk in closet. The wood floors downstairs are beautiful. Washer, dryer and frig stay with the house .Surveillance system stays with the house. Come see for yourself all the amenities in this home. 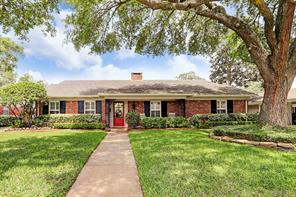 Close to shopping, Westchase District, Town and Country, Memorial City and Galleria. Just move right in and enjoy this lovely home in such a convenient location. 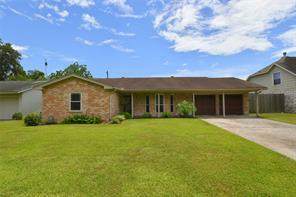 Gorgeous three story contemporary brick patio home close to Houston Area amenities. Interior features include high ceilings, hardwood floors, built-ins and fireplace in the living room. The kitchen is open to the living room and boasts granite counters, tile backsplash, custom cabinets and SS appliances. The split bedroom floor plan offers a bedroom and full bath on the first level and the master suite on the third. An inviting and serene master suite features a garden tub, dual vanities and walk-in closet. An outdoor patio is off of the first-floor bedroom, perfect for entertaining and a cute little garden. Walking distance from Walmart and other great restaurants. Never flooded. Tons of updates & upgrades! 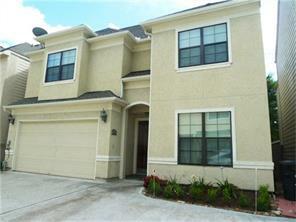 Prime location close to Galleria, shopping centers (Walmart), Westchase business district, restaurants & major freeways. New construction right opposite from this home with 1490 sqft starting at mid $300k. This property is a steal for the price. This adorable ranch style home is situated on an almost 10,000 square foot corner lot, AND has a three car garage! The home was almost completely re-done with in the past year, and is waiting for a buyer to put their personal touch on the impeccably maintained kitchen. The backyard has ample space for entertaining, and with the added bonus of a massive oak tree, it is almost completely shaded. Call your Realtor today for a showing appointment! 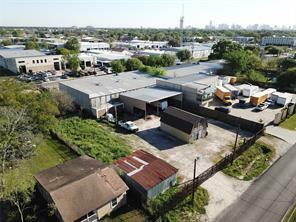 Great Commercial lot in a business street. 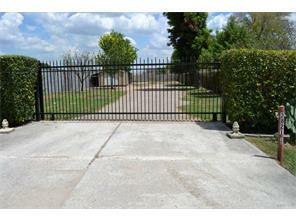 10,929 Sqft completely fenced and great strong tall gate with wheels. Has several mature trees and other shrubs and fruit trees. Has a small storage unit. Water and electricity available in property. Stunning ranch style home in the heart of the city! 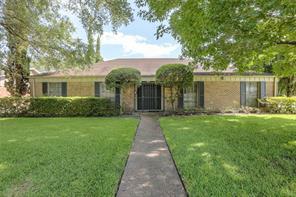 Minutes from Beltway 8, Westpark Tollway and I-10. This home has been meticulously maintained and remodeled from top to bottom. New roof, flooring, bathroom and kitchen has been updated. DID NOT FLOOD! Put this home on your must see list. Call me for your private showing today! Many recent improvements in this updated family home. Granite and engineered wood floors, recent paint. Neutral carpet. 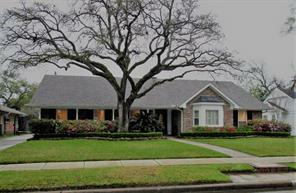 Huge granite kitchen, remodeled bathroom, extended master with additional closet space. This is a must-see, turn key ready to move in home! Untouched by Harvey! 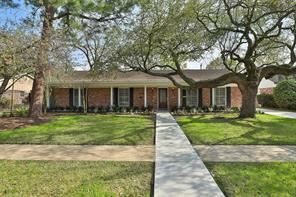 Completely remodeled to an open concept living area with updated lighting throughout home. 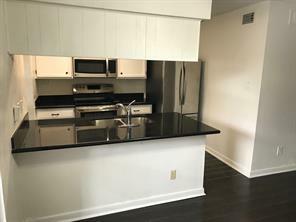 Modern updates include a beautifully remodeled kitchen complete with slate grey quartz countertops, white soft close cabinets, mosaic tile backsplash, recessed lighting, and modern matte black appliances. Custom walk-in pantry, new kitchen sink with elegant faucet. 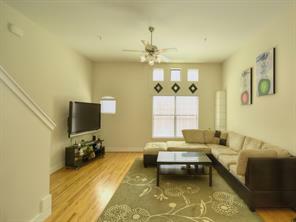 Spacious living room w/ high ceilings, ceiling fans, and refinished hardwood floors. Freshly painted inside and out, along w/ new floors in secondary bedrooms. Large master bedroom and a private executive bathroom, with updated shower. BONUS room; can be used as game room or additional bedroom. Outdoor area perfect for entertaining, spacious backyard, with a patio & pergola. No homeowners association fees. 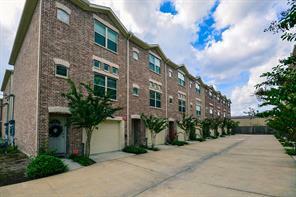 Quick access to Westpark Tollway, Beltway 8, I-10 and minutes from shopping, restaurants. LOOK!!! 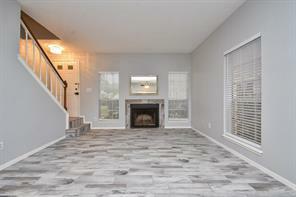 This fabulous 3 bedroom 2 bath Westmont home boast 1729 sq.ft. of living space and is situated on a 7,475 sq.ft lot and is MOVE IN READY! Take a look at the sprawling majestic dark mahogany hardwoods that spread throughout the main living area and bedrooms. The dining and wet areas of the home contribute designer tile. 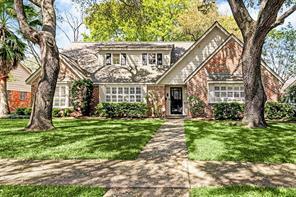 Delivering a spectacular well maintained home 9327 Fairdale is a MUST SEE!!! This gem features beautiful granite counters creating plenty of cabinet and counter space. Granting fresh neutral earth tone paint with crisp white baseboards and trim this home has a sleek look. The stainless steel energy star rated appliances offer a double oven with a new Samsung microwave fixed above. Featuring new double pane windows, a new roof in 2018, and foundation repair with a lifetime transferable warranty this beauty has had all the big ticket items taken care of. 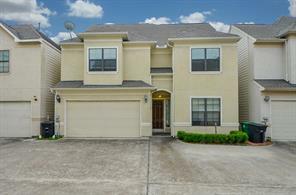 Location is everything and the quick access to Westpark Toll Road, Beltway 8, and I-10 will not disappoint!!! One story home upgraded, taken down to the studs in 2014. Roof, A/C and water heater replaced at that time. This is a home that makes wise use of its footprint. 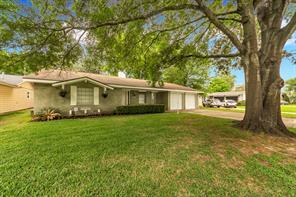 Beautiful yard in a sought after neighborhood. 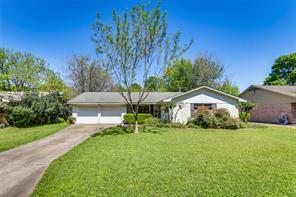 ****OPEN HOUSE SUN., APRIL 7TH 2-4PM. 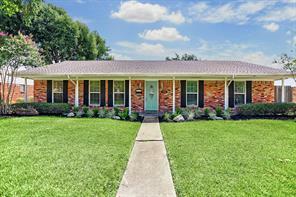 Beautifully remodeled home in the popular Tanglewilde subdivision. Updated kitchen and baths include new cabinets, counters and appliances. 24" marble tile flooring throughout the home make for easy maintenance. High ceiling with beams in the living room and dining room offer plenty of natural light. Updated exterior includes paint and windows. Large bedrooms with spacious closets. Lush backyard with an extended large covered patio is perfect for those Sunday BBQs and family events. 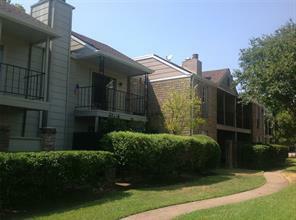 Convenient location with quick access to 59S, Galleria and BW8; minutes from shopping, restaurants and entertainment. NO HARVEY FLOODING. 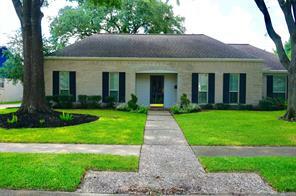 Rare 1-story home located on a beautifully maintained private street with limited gate access. Soaring high ceilings throughout the open style living, dining and kitchen areas. Plenty of cabinet and countertop space in the kitchen, with gas log fireplace in the living room that opens onto a beautiful patio space. Master suite includes walk in shower, dual vanities, and jetted tub with spacious closet. 3 bedrooms, 2 bathrooms with custom built in shelving in 3rd bedroom/study. 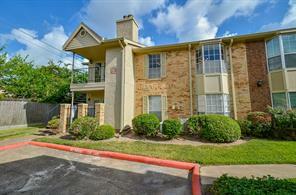 Convenient access to Galleria, Greenway Plaza, Memorial City, and City Center. Don't miss this home! STOP THE CAR!!! 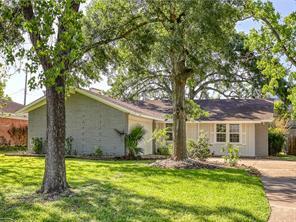 9622 Pagewood Lane is on the market and ready for its new owner. This beauty features a NEW breaker box in 2014, NEW main sewer line, 30yr roof in 2007, and new garage doors installed in 2017! This fantastic home is a move in ready home that offers a ton of updates that will save you a pretty penny! This gem boast majestic deep mahogany laminate flooring, designer 18" travertine tile flooring, 6" crisp white crown molding, 10" crisp white baseboards, a spectacular beveled edge granite counter top, high end stainless steel appliances, and NEW 36" soft close dark cherry cabinets with fabulous brushed nickle hardware. The Bathrooms are NEW from top to bottom! 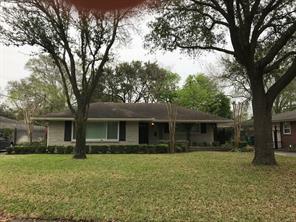 This gem sits on a large lot in the highly sought after Tanglewilde community and puts you minutes from Beltway 8, West Park Toll Road, and I-10 which are all main arteries of Houston. Do not wait on this one because this home is sure to move!!! Make your appointments today!!! This adorable ranch style home is situated on an almost 10,000 square foot corner lot, AND has a three car garage! The home was almost completely re-done with in the past year, even the kitchen has been painted! There is ample space for entertaining, and with the added bonus of a massive oak tree, it is almost completely shaded. Call your Realtor today for a showing appointment! UPDATE SPACIOUS SINGLE 1 STORY IN TANGLEWILDE!! NO FLOODING from Harvey! Light & Bright Floorplan* Tons of Natural Light* Updates Title Through out Home* Formal Dining Room with Beautiful Bay Windows with Views of the front Yard & Tanglewilde Park* High Cathedral Ceilings In Living Room* Gourmet Kitchen with Lots of White Cabinets & Granite Countertops* Newer Stainless Appliances* Inviting Breakfast Room with a Wall of Windows & Views of the Backyard* Romantic Master Bedroom with Caribbean Breeze Ceiling Fan & updated Private Full Bathroom* Updated bathrooms, Gameroom/Sunroom with Covered Porch* Minimal Grass in Fenced Backyard* Palm Trees & Banana Plants* All Electrical & Plumbing has been upgraded* Close to Top Restaurants, Shopping, Entertainment, EZ Access to Westpark, Beltway, & Richmond* Fresh landscaping! Move-in ready! Won't last Long! Great location: Outstanding 3 bedroom home with detached garage in beautiful Tanglewilde. Plantation shutters, granite counters, stone backsplash detail, rich hardwood floors in common areas, updated master bath, new toto toilets, AC installed 2013, sprinkler system installed 2014 and Bonus in the back - Retractable Storm Shutters. This also serves as an extra security feature - Great peace of mind while on vacation. Large lot with lush landscaping. multiple mature fruit trees. Surrounded by shopping, restaurants and services. Home has never flooded. Seller remarks: no flooding. HVAC 2016. Great opportunity in this much sought area. One story home with updates, vacant and ready for you today. 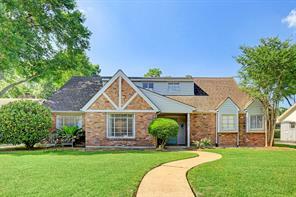 Large corner lot, Formal Dining and Formal Living, updated kitchen with granite counters, family room/den with pretty fireplace and brick surround. Large three bedrooms with updated bathrooms. Laminate wood floors running throughout with tile in entry and wet areas. No carpet in home. Large fenced in backyard with mature trees and recently installed cover for back patio/deck. Lots of room to live and play. 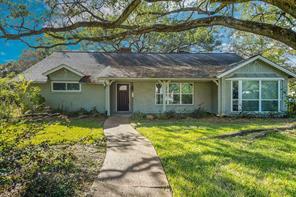 Incredible location just a few blocks from Gessner and the Beltway. Close by to abundant dining, shopping and entertainment choices. Easy commute to work and close to Metro bus stop. 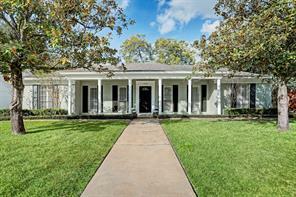 Lovely traditional styled home nestled in the established neighborhood of Tanglewilde is ready & waiting for a new family! This remarkably maintained home DID NOT FLOOD during any of the past major floods here in the bayou city. Property features three spacious bedrooms, a separate formal dining area, formal living room and a den/family room. In addition to the spacious eat-in kitchen with breakfast bar is ample space for a study or breakfast nook. Rich mahogany Brazilian wood flooring through-out entire home is an added bonus! Both front and back yard have been meticulously maintained & cared for with custom landscaped flower beds featured in the backyard. 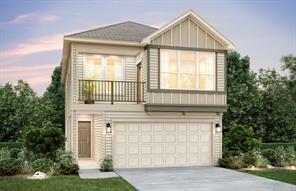 If you desire suburban living with an inner city feel, 9527 Fairdale is the ideal place to call home! 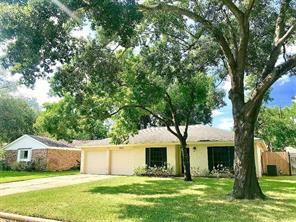 With easy access to Westpark Toll, Beltway 8 and I-10, 9527 Fairdale Ln. is a MUST SEE! Contact me today for a showing! Immaculate ranch style with great flow on big lot with mature tree. 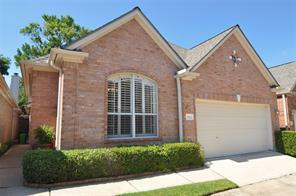 10 minutes from the Galleria, 5 minutes from energy corridor and Terry Hershey Park. Easy access to major highways (59 and beltway). Owner says never flooded. Tankless water heater, 2017 HVAC (3 return air vents for effective air circulation), stainless steel appliances. Wood-grained porcelain floor. Recessed lighting throughout. Huge master closet and bath with separate tub and shower. 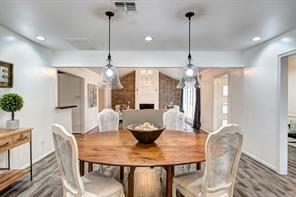 Beautifully remodel home in Briarmeadow. You CAN have it all! low taxes, NO HOA, and a great front view just to name a few. If youre looking to be close to town, this rare find is what you're looking for. This home also features granite counter tops, stainless steel appliances, freshly painted, new fixtures, breakfast area with bay windows and tile and wood throughout. Schedule your private tour today! This updated Spacious home in Tanglewilde is the best deal in the area. Between westhimer and Richmond and if location is important, this home is it. 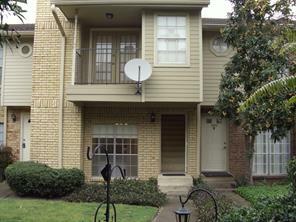 You can't find a home this large this close to Galleria in this condition at this price. 3 Large living areas, with large kitchen and Breakfast bar. Master bedroom on the first floor and 2 bedrooms up with game room and Hardwood floors. Flex room which could be a study upstairs or another bedroom. Lots of storage and recent roof and ac. Large backyard and a nice backyard fence. This home has lots of space and its near everything!!! It comes with a Home warranty. BEAUTIFUL HOME WITH LOTS OF UPDATES OVER PAST 7 YEARS. NEW EXTERIOR CEMENT BOARD SIDING. FRESHLY PAINTED BOTH INTERIOR AND EXTERIOR. REFINISHED FLOORS, CROWN MOLDING, CABINETS, GRANITE AND MORE. BATHS HAVE BEEN UPDATED WITH GRANITE, SINKS, COMMODES, MIRRORS & FIXTURES. BLINDS, SECURITY SYSTEM IS OWNED, SPRINKLER SYSTEM . SECURITY BARS FOR THE BACK WINDOWS, BACK DOOR AND FRONT DOOR IF DESIRED. Newly listed, move-in ready home, won't last long! This three bedroom, two bathroom, three story townhome is just the place you've been waiting to find! Featuring soaring ceilings, a wood burning fireplace, an oversized galley kitchen with built-in appliances, built-in bookcases, natural light galore, wood floors and spacious bedrooms. Located with easy access to major freeways, restaurants, shopping, and entertainment. Don't delay! Schedule your showing today!! 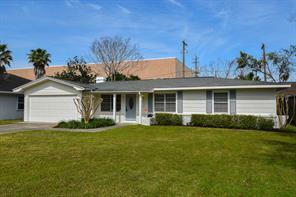 Charming 3 Bedroom, 2 bathroom in conveniently located Tanglewilde! Open area living, kitchen and dining space with tile flooring. Beautiful granite counter tops in kitchen with an island that has built in oven and stove. Great breakfast bar opens up to spacious living area with high ceilings and shaded skylights. Bathrooms all have granite counter tops and updated fixtures. Recently replaced windows. French doors lead out to the back patio and large backyard. The garage has built ins for easy storage. NEVER FLOODED! 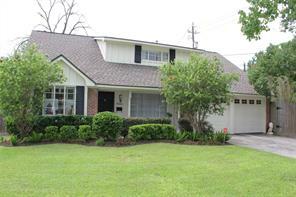 Beautiful Home, Great Location, close to the Energy Corridor, Galleria, Beltway 8, Westpark Toll Way, I-10, and I-59. Sporting a huge 24'X13' fully enclosed patio, updated kitchen, and a freshly painted interior. 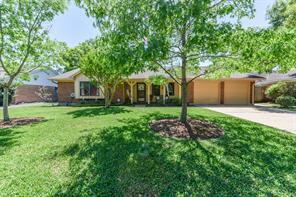 Exterior includes a large front yard, with well established oak trees (lots of shade). The back yard has gorgeous landscaping and a large wooden deck, Detached Garage, and double heavy gauge solid steel gates for added security. Home did not flood during Harvey. Great access to all major freeways and close to shopping. This open concept home appears to be larger than it really is because it is very functional and well laid out. Granite counter tops and remodeled kitchen with custom cabinets and recessed lights. Both baths have been remolded within past 7 years with siltstone counters and new commodes. New ceiling fans throughout the house. Large backyard with covered patio and lots of mature trees makes a great retreat. There are 3 walk-in closets and a huge pantry / storage area decked attic, and outside storage building. Roof has Radiant Barrier Decking. There is everything you need within minutes of this friendly neighborhood. Location location location. 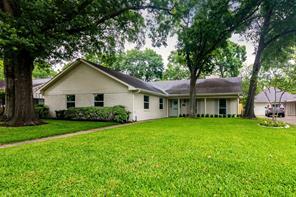 Well maintained home in Westmont. Great investment opportunity just waiting for new owners to bring back it's glory days. This home lovingly cared for by one owner. Large yard. Recent AC. Gas line to back yard. See attached appraisal square footage includes extra large second living area, family room and formal living area . Huge master plus two more bedrooms and full baths! Ready for a fast close ! Sold as is. 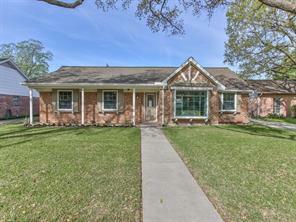 You will love this delightful 1-story house located in the central location close to Westheimer Rd. This 3-bedroom 2-bath house gives you 1000 Sf of spacious yet cozy living space. The location is central and the neighborhood is friendly and welcoming. If you are looking for a home, look no further and schedule an appointment to see this property. 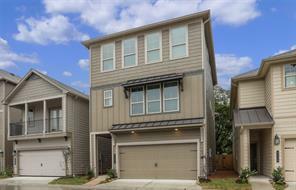 This beautiful, recent construction town home is located just West of the Galleria area and minutes from amazing shopping, restaurants and more! The lovely contemporary style will make you feel right at home. This home offers 2 Bedrooms, 2 full baths and 2 car garage with so much storage and cabinetry that will all stay! The amazing kitchen offers granite counter tops, under-cabinet lighting, Stainless steel dishwasher, gas oven and microwave! This meticulously maintained home, currently owned by two engineers, is exactly the type of home you want to buy! So many added features and attention to detail will show the moment you walk through the door. From the insulated garage door (2 car tandem), shelving and storage throughout, replaced fixtures, door handles, black out shades on every window, sprinkler system (interior), added shelving and storage, island kitchen. Nice side yard, and outdoor space too! Congratulations! You have just found a great buy in the coveted Tanglewilde subdivision that also includes a pool and tennis courts for your residential use. Located in a quiet, pleasant, neighborhood. Home includes low maintenance laminate hardwood flooring in all bedrooms and throughout the home. The extra tall privacy fenced backyard is wonderful for entertaining and outdoor activities, easily visible from every room along the back of the house. Check out your HUGE Owners Retreat. Updated roof, electrical, mature trees and a full size two car garage round out this feature filled property. Renovate this home to secure a TON of equity. Perfect for someone who wants to update it a little at a time or get it all done at once to make this fixer-upper the home of your dreams. Great location near Westchase District, Town & Country, Memorial City and the Galleria, just 15 minutes to shopping & restaurants. 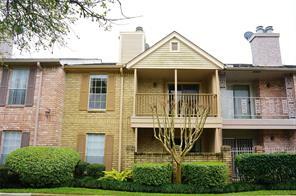 Enjoy quick access to Beltway 8, Westpark Tollway, and I-10. This home DID NOT FLOOD! STOP THE CAR!!! 9655 Winsome Ln. is on the market and ready for its new owner! This unbelievable single story 3 bedroom 2 bath traditional style home is located in the highly coveted Tanglewilde/Westmont communities. Boasting 2,009 square feet of living space and situated on an over sized corner lot measuring 10,005 square feet. The home features vintage majestic dark mahogany small square hardwood floors. The baths are original and boost the character of the home providing a vintage feel. The sun room addition is a spectacular addition creating a peaceful space to lounge and enjoy the day. 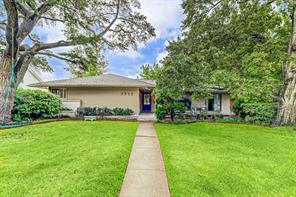 The location of this home puts you minutes from the Westpark Toll Road, Beltway 8, or I-10 which are all main arteries of Houston. This pocket community is on the rise so get in early while you still can! Do not hesitate on this gem because this home will be gone before you know it!!! Selling as is! 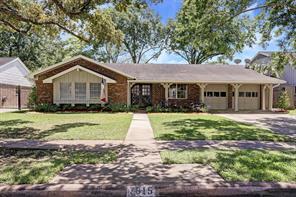 COMPLETELY REMODELED House in Transitional neighborhood near Galleria area. 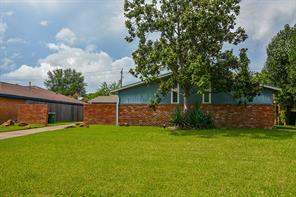 Recent Roof, AC Unit, Electrical Panel, Completely Remodeled Bathrooms and Kitchen with Cabinet, Sink & Faucet. Recent Appliance including Refrigerator, Stove, Hood, Dishwasher. Recent Flooring Laminate, Tile in wet areas and Carpet in bedrooms. Fresh Paint In & Out. Excellent LOCATION!! Only minutes away from Midtown and Galleria. This contemporary town home was built in 2015. It futures high ceiling, solid wood floors in living, dining and kitchen areas, granite countertop in kitchen with stainless steel appliances. Projector in living room is included in the sale as well as the range, refrigerator, microwave and washer/dryer. 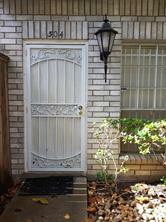 Beautiful town home, highly desirable location! NO FLOODING FROM HARVEY!!! Location! Location! Hidden Gem located w/in 5mi. of Galleria & Memorial Malls in Westchase Dist. 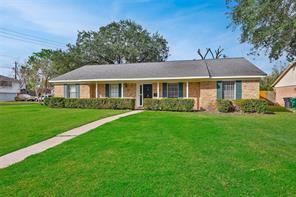 between Westheimer & Richmond in Westmont/Tanglewilde subdivision. Easy access to BW8, I10, 59 & Westpark toll. 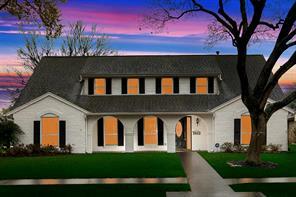 Tons of upgrades- Dual Pane Low E Windows Paint, engineered Hardwood floors in all living areas. Tile in wet areas, French Doors to backyard. Recent HVAC Air Conditioning & Furnace, Stainless Kitchen & Appliances, Granite in the kitchen. blown in Insulation. Oversized Master bedroom with walk through closet. 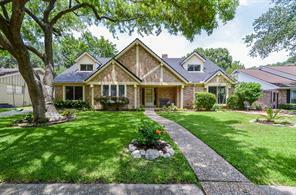 Beautifully maintained home near the Galleria and other popular shops and restaurants. Stainless steel appliances, gas range stove, hardwood floors, Jacuzzi tub in Master bathroom, large walk-in closets, insulated/Low-E windows, 2' blinds, tandem two-car garage, small patio for BBQ. Low HOA Fees+Quiet Complex! Refrigerator, washer and dryer included! Excellent location with easy access to multiple freeways (Beltway, I-10 & I-59), Memorial City, City Centre, and the Galleria. As well as, other fine dining, entertainment, and retail shops in general vicinity. 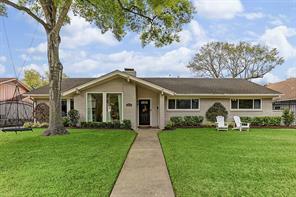 This mid-century style home is in a well established neighborhood and sits on a good sized lot with mature trees. Priced to sell - whether it is for a flip, rental or long term ownership this home is an excellent investment opportunity. Don't miss this chance and schedule your showing today! **Start your new story with the Turn of a Key** This property is perfect for the 1st time Home buyer looking for a move in ready unit as well as the in a new home. Beautiful new flooring, New washer and dryer that will remain in the unit and 2 full bathrooms. Brand new units being built around the unit creating INSTANT Equity in your home! It's a Must see.. Huge garage that can hold 2 cars Plus room for storage of belonging, storage of bicycles as well as motorcycle storage. 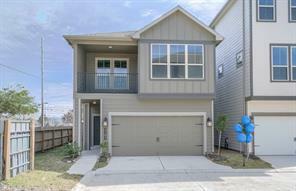 Up and coming area just 3 Miles from the Galleria. Come and call this unit HOME! THIS UNIT DID NOT FLOOD IN HARVEY! Completely updated with designer touches throughout and impeccably maintained. Extremely functional, open floorplan highlighted by two master bedrooms with en suite bathrooms, large living room which seamlessly flows out onto the enormous ultra-private deck (TREX) with tranquil bayou views. Beautiful wood tile flooring, Low E windows, lush carpeting and recent paint throughout make this property turn key and truly spectacular. Conveniently located to shopping, dining and entertainment. Perfect opportunity to build 2 to 4 town homes. Galleria Area cleared corner lot. Complete with engineer and architecture plans. Survey included. Briarmeadow / Tanglewilde area. 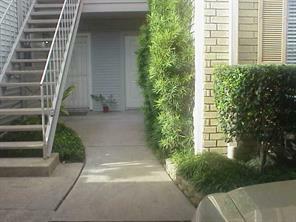 Minutes away from Beltway 8, 59, Westpark. Situated off Richmond! Lots of possibilities build to occupy or an investment properties. Ready to move in the well established home. 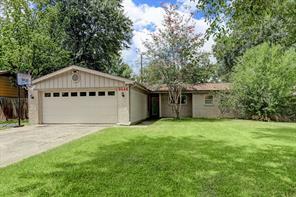 Completely remodeling features: 1) new roof, 2) new AC system, 3) upgraded granite countertop and vanity tops,4) new paint, 5) new stainless-steel appliances, 6) new carpet, laminate floor and tile. 7) New electric panel. 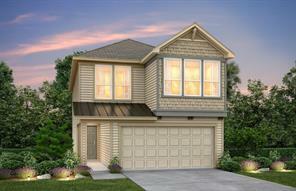 Open living area, split floor plan, master bath with double sink and separate shower, beautiful back porch with new fence. Very convenience location to highway, commercial centers, hospitals and schools.All measurement is approximate. 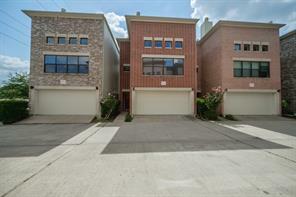 LOVELY 2 bedroom, 2 & 1/2 bath, chic, contemporary, 2 story townhome with 2 car garage and private gated patio. Ready for immediate move in! It boast a spacious living room/dining room combination with fireplace. Granite countertops in Kitchen which overlooks living and dining room. Laminate flooring down with tile in kitchen. Two HUGE bedrooms on second floor, each bedroom has their own en-suite bathrooms and walk-in closets. The complex features 2 pools, on-site security. Refrigerator, washer and dryer remain with the home. 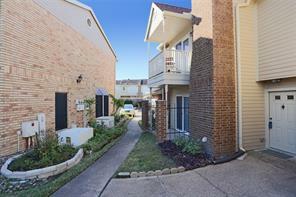 Quick access to Westpark, Beltway 8 and easy commute to Galleria area. MUST SEE, schedule your appointment today! 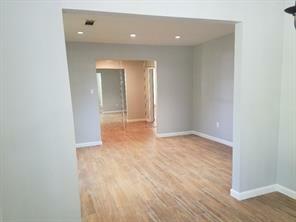 GORGEOUS CONTRACTOR RENOVATED CONDO! 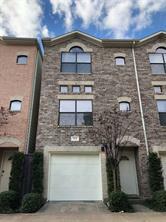 TWO BEDROOM, TWO BATH, ONE STORY DOWNSTAIRS CONDO WITH COVERED RESERVED PARKING IN FRONT OF UNIT. GORGEOUS NEW CABINETS, HARDWARE, QUARTZ COUNTER TOPS, SINKS, MIRRORS, NEW LIGHTING, FIXTURES, BEAUTIFUL TILE FLOORING, DECOR PAINT, RECENT APPLIANCES. WASHER, DRYER AND REFRIGERATOR INCLUDED. GREAT SPLIT FLOOR PLAN WITH PATIO. COMPLEX POOL. INVESTOR OWNER SELLS AS IS AFTER RENOVATION. JUST BEAUTIFUL! 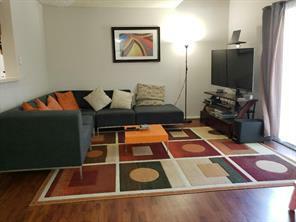 Spacious living room/dining room combination with fireplace, high ceilings throughout the apartment. Two closets, half bathroom, and a pantry are on the 1st floor. Two spacious bedrooms on the second floor, with full bathrooms and walk-in closets. Huge balcony on the 2nd floor from the master bedroom. The kitchen is equipped with stainless steel sink, Kraus pull down kitchen faucet, and Moen in sink garbage disposal. Refrigerator, washer and dryer are included. Chamberlain garage door opener. 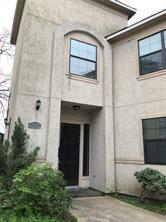 This lovely 2 bedroom, 2 1/2 bathroom, 2 story condo is conveniently located near the Westpark Tollway, US 59 & Beltway 8 (less than 10 minutes drive to Galleria and 15 minutes to Downtown Houston). 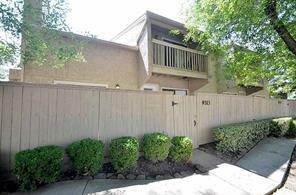 Move-in ready condo with courtyard-view in a quiet gated community. Lots of upgrades; tile floors, carpet in the bedrooms, granite countertops in the kitchen and bathrooms, new light fixtures. The first story of the home features tile flooring, a spacious open floor plan for entertaining, a half bath, and a closet for your guests, a private patio with storage and access to your covered assigned parking. Upstairs you will find two large bedrooms with new upgraded carpet, each room has its own walk-in-closet and private bathroom. The master bedroom has study/work nook and Balcony! The condo is located close to both sparkling swimming pools, club house, mail boxes. Stackable washer/dryer, refrigerator, electric oven/range, dishwasher are included. Don’t miss this opportunity. 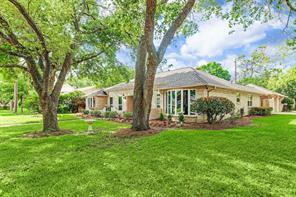 Beautifully-updated two-story TH in small gated Galleria area complex with lovely pool. Great features including REAL Oak hardwood floors, Recent Jacuzzi Tub in bathroom, New Designer Paint throughout, professionally designed closets, updated light fixtures, tile in kitchen and dining area. Refrigerator, washer, and dryer are included. This is truly an amazing unit to see. 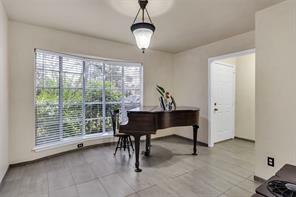 Beautifully remodeled two story condo in a quiet gated community with a sparkling pool. The first story has a spacious open floor plan for entertaining with a firepalce, half bath for your guest, kitchen, dining, storage room, and a private patio with easy access to parking. One assigned covered parking within 10 feet away from the front of your back door. The second story has two bedrooms with a shared full bath, two sinks, and an extra storage space. Both bedrooms have very spacious walk-in closets. Master bedroom has a working desk space. The property has new window blinds, fresh paint, carpet, and vylin wood flooring. Comes with stacked washer and dryer, refrigerator (approximately 1.5 years old), and dishwasher (approximately 1.5 years old). 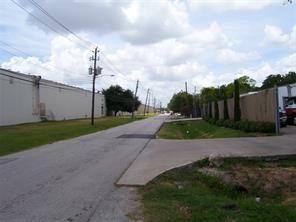 Property is west of Galleria, minutes away from major freeways, with easy access all over Houston! and did I mention, it DID NOT FLOOD. It is a 2 Story, 2 bed/ 2.5 bath, remodeled to suit owner's taste.Appliance(Fridge, stackable washer/dryer, Oven and dish washer), Granite kitchen countertop, tile in living and kitchen area. Beautiful private patio with reserved parking directly behind your patio. Open kitchen, dining,living, powder room and utility closet on 1st level. Bedrooms on 2nd level.Master bedroom with a sitting area/ home office and covered balcony. 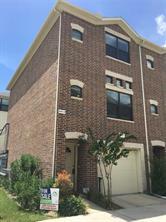 Come see this lovely 2 bedroom, 2.5 bathroom corner condo that is conveniently located near the Westpark Tollway, US 59, and Beltway 8. The first story of the home features laminate flooring, a spacious open floor plan for entertaining, a half bath for your guests, a private patio with access to your covered assigned parking, and lots of windows to bring in natural light. Upstairs you will find two large bedrooms, each with its own walk in closet and private bathroom! The condo is located adjacent to a quiet pool area for undisturbed relaxation and privacy. Washer, dryer, and refrigerator are included with the sale of your new home. Don’t miss out on this opportunity, schedule your showing today! FOR INVESTORS ONLY, PLEASE DO NOT BOTHER THE TENANTS! There is no Sign & no Lockbox! Will be Shown Only with a Written Contract & will be Sold with the Current Tenants who have a Lease through April of 2020! 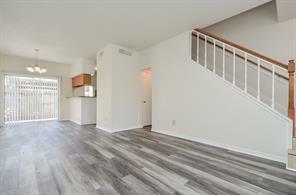 Please View Photos that were Taken in October 2018 When This Unit was Fully Renovated w/All New Kitchen Floors, Cabinets, Stainless Appliances, Granite, etc! 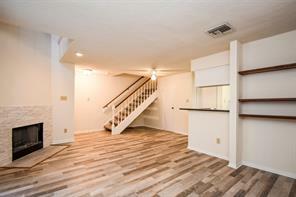 New Wood Floors & Ceramic Tile Throughout, Custom Paint, Updated Bathroom & Vanity w/Granite Countertops, etc! It's a Gorgeous Upper 2/1 Fully Renovated & Fully Leased so it's a Wonderful Investment Opportunity Turn Key! There's an Outside Storage Closet on Your Private Balcony & one of the Pools is directly behind this Building! 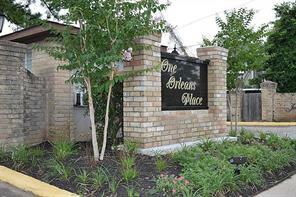 One Orleans Place is a Beautifully Landscaped & Well Maintained Community just a couple miles West of The Galleria, near Most Major Freeways & Tollways, Shopping & Restaurants! There's 2 pools, Newly Renovated Tennis & Clubhouse & Lots of Park Like Settings All Around! Just a Great Place to Call Home! 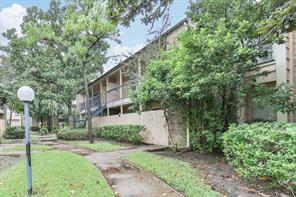 Beautifully renovated and spacious corner unit with front door and outdoor balcony overlooking the pond. 2 bedrooms each with en suite upgraded bathroom with an open loft. Upgrades includes glass tile back splash, granite counter tops throughout in kitchen and bathrooms. 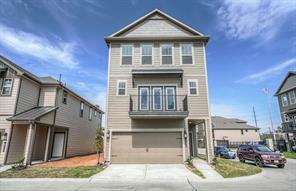 Features high ceilings, large wood deck patio, fireplace, flat top range and tile & bamboo flooring, built-in bookcase! Includes appliances, refrigerator, washer and dryer. All Bedrooms have Large Walk-in Closets! Unit comes with 1 assigned covered carport parking and additional storage closet. This unit is close to the community pool. Walking distance to a cute neighborhood park and elementary school. 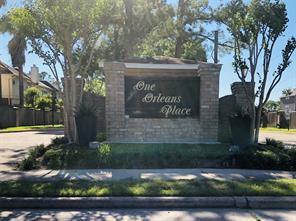 Location is Convenient to Shopping, Popular Galleria Eateries & Easy Access to Loop 610, 59, Westpark Tollway & Beltway 8! HOA includes water, trash and exterior maintenance. LOW TAXES AND LOW CONDO FEE. Don't put in an offer until you see this one! Lovely cute and quaint corner unit. Perfect sized unit with 2 bedrooms and 2 bathrooms with an open loft. Upgraded fixtures, ungraded bathroom and flooring throughout. 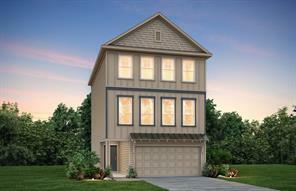 Features high ceilings, large patio, fireplace, flat top stove and slate/wood floors! Includes like new appliances, refrigerator, washer and dryer. All Bedrooms have Large Walk-in Closets! Spacious Master + Outdoor Balcony! Unit comes with assigned covered carport parking and additional storage closet. This unit is close to the community pool. Walking distance to a cute neighborhood park and elementary school. New AC/ HVAC system, replaced this past summer. 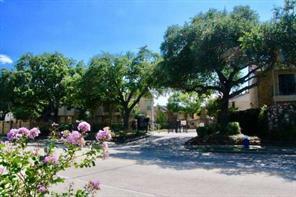 Location is Convenient to Shopping, Popular Galleria Eateries & Easy Access to Loop 610, 59, Westpark Tollway & Beltway 8! This property has never been flooded. HOA includes water, trash and exterior maintenance. Easy access to the beltway and Westpark toll way. LOW TAXES AND LOW CONDO FEE. DID NOT FLOOD! You don't want to miss this one! Make an appointment today! Must SEE Gem! Newly renovated townhome with spacious space. Well maintained and has a patio. Open floor plan in a gated community. Close to Galleria and so many nice restaurant around. 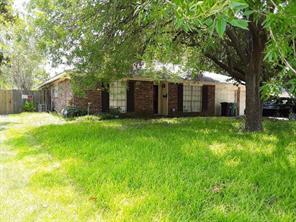 Minutes to hwy 58 and Beltway 8. Come see this FRESH and BRIGHT newly renovated centrally located 1 bedroom in the cozy and gated community of Chambord Condos! MOVE-IN READY with new dishwasher and oven. BRAND NEW LAMINATE THROUGHOUT AND WOOD-LOOK TILE IN KITCHEN AND BATHROOMS. NEW CARPET IN BEDROOM. This condo is completely updated for a BRIGHT AND MODERN LOOK. Close to major highways 59/69, West Park Tollway, and the 610 loop. 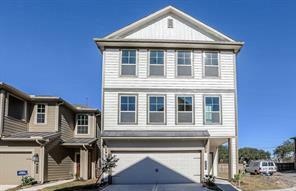 Located minutes away from the upscale GALLERIA AREA! This 1BD/1.5BA, loft-style, corner unit is a great BUY for an investor or first-time home buyer looking for a modern and efficient living space. Don't forget the community pool, patio and balcony! COME TAKE A LOOK AT THIS GREAT DEAL TODAY! Assigned carport parking near the unit entrance could be yours. 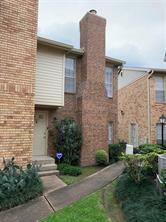 Beautiful updated condo features a cozy wood burning fireplace with wood trim in the living room, large living room with a high ceiling, updated pergo flooring in living, dining room & bedroom. New paint throughout, New pergo flooring in all master bedroom area, private patio & balcony area, very large bedroom with a sitting area or nursery space, conveniently located close to the community pool, mail box and parking, reserved covered carport, water, sewer & building insurance is included with the HOA fees and many more to list! Great price, won't last long! No Flooding in this Complex ever! Remodeling Complete Custom & Beautiful! 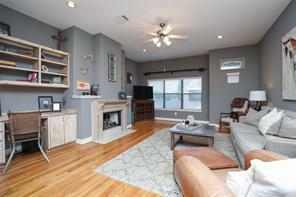 All New Interior Custom Paint Colors Include Lush Latte and New Ceramic Tile Floors Throughout! Awesome Prime Location Downstairs 2/1 w/Private Patio for Privacy but Pool just Outside your Front Door! Updated Kitchen & Bathroom! Woodburning Corner Brick Fireplace! Refrigerator Included & Full Size Washer & Dryer. Plus an Extra Outside Storage Closet on your Patio. 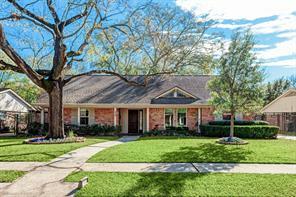 This Nicely Landscaped & Heavily Treed Community is "One of Houston's Best Kept Secrets" it's just a few Miles West of The Galleria but Tucked Away & Hidden so if you're not Looking for it, You'll pass it right by! There are 2 Sparkling Pools to enjoy all year round, Double Centrally Located Tennis Courts & Recently Extensively Remodeled Clubhouse Available for Private Functions. 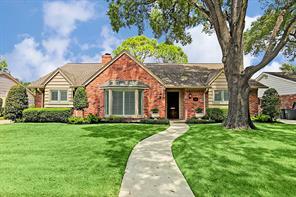 Please Check out the Pictures & Book Your Appointment to view this Lovely Home Today! 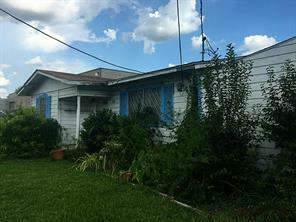 THREE BEDROOMS,TWO BATH ON FIRST FLOOR.RECENT UPGRADE,FRESH PAINT ,BASEBOARDS,FAUSETS,GRANITE IN KITCHENAND BOTH BATHS. 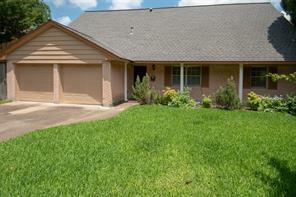 Second level 2 bedroom and 1 bath updated home quiet gated community. Washer, dryer and refrigerator included. You will adore this completely remodeled condominium!! All new walls, ceiling, roof, electrical, AC/Heating, plumbing fixtures, cabinets, appliances, flooring, windows and doors....You cant go wrong with this beautiful condo!! Condo did not flood!!! DON'T MISS OUT!! COME SEE IT TODAY!! 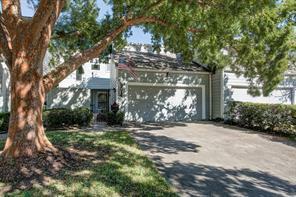 3.5 miles West of the Galleria in quiet gated community. Condo overlooks the gated pool in courtyard. Granite countertops, washer/dryer, refrigerator all included! Location, Location, Location, come see this charming well maintained 2 bedrooms, 2 bath condo on the 2nd floor. Features open floorplan with with beautiful tile flooring, recently painted throughout, split plan, updated shower in master bathroom, refrigerator, washer, dryer included, assigned parking, storage room, gated community. 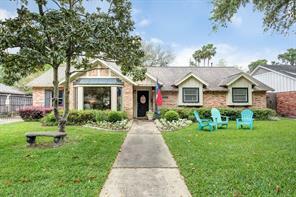 Nearby restaurant, city bus line, Close to major roads & highways, just minutes away from the Galleria, Downtown, Schedule your private showing today. A Must See. 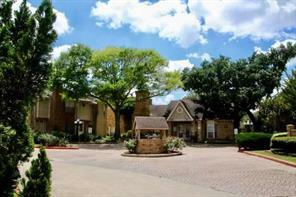 Quiet and conveniently located gated complex with 2 swimming pools and a clubhouse in the complex. Seller is MOTIVATED! BRING US YOUR OFFERS! Tired of renting? Looking for an investment property? Convenient access to major highways and only 20 minutes from downtown. 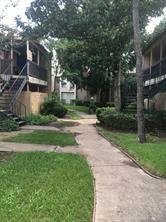 This unit is a 2 story unit with 1 bedroom and 1.5 bathrooms. The half bath provides you and your guests convenience when downstairs in the living and kitchen area. Relax on either of your balconies on each floor. Lots of storage exists with 2 walk-in closets in the master bedroom. NO CARPET at all in this unit. Enjoy your wood burning fireplace in the winter. Refrigerator, washer and dryer are all included. AC unit just replaced in 2018. Cable, water and gas included in monthly HOA fees. Gated entry for your safety, assigned parking and 2 pools for residents to enjoy! Beautiful two story unit, with many updates. Tile floor on the 1st and recent carpet on the 2nd. Bedroom is up with 2 walk in closets. Large open space with sitting area. Master bath with a knee space vanity. Half Bath located on 1st floor for your guests! One wood burning fireplace in the living area. Little cute patioes on both levels. Front green courtyard near by the area pool. Refrigerator, microwave, Washer & Dryer are in the unit included. 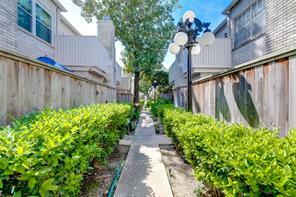 It's a small quiet gated community close to Westpark Tollway, US 59, Beltway 8 and the Galleria area. QUIET UPPER UNIT AT THE BACK OF A GATED COMMUNITY WITH A TENNIS COURT VIEW. ASSIGNED COVERED CARPORT SPACE WITH PLENTY OF GUEST PARKING. LAMINATE FLOORING TROUGHOUT . TILE IN KITCHEN AND BATH. PRETTY MIRRORED WALL IN DINING . WASHER DRYER AND REFRIGATOR INCLUDED. COMMON AREA INCLUDES 2 AREA POOLS, 2 TENNIS COURTS AND COMMUNITY CLUBHOUSE. 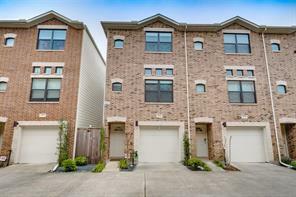 EASY ACCESS TO BELTWAY 8 AND WESTPARK TOLWAY. CLOSE TO GALERIA MALL. Cute one bedroom town home. 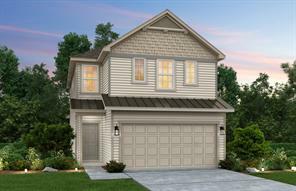 Nice neutral colors, great floor plan, refrigerator, washer/dryer included. Sliding glass door/Wall to private balcony. 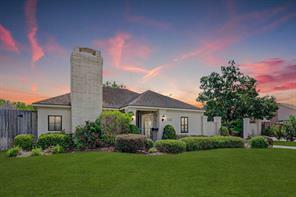 Gated and well maintained community with clubhouse, tennis court & pool. 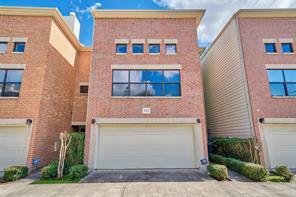 Easy access to Galleria, Beltway 8, Hwy 59 and Westpark Toll. Gated community, really nice location in the community. Close to pool, mail, and gate. Great investment property. 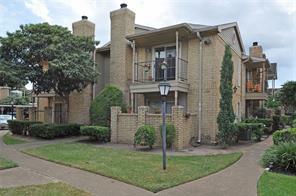 Wonderful condo upgraded w/ laminate & tile flooring. 2-story high ceilings in living area offer an open feel. Dining/living is quite large & utility room is by the kitchen. Spacious bedroom upstairs is a loft style w/ a nook for a study/sitting area. Comes w/ dryer, recently purchased washer, fridge, dishwasher (never used), stove, & rarely used double oven. Enjoy peace & quiet from your private balcony/patio. Amenities include pool, tennis court, fitness room in clubhouse, walking paths w/ pond, assigned covered parking w/ storage. HIGH AND DRY—did not flood! 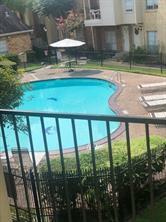 Quiet gated complex near shopping centers, medical/dental, entertainment, restaurants, movie theater, malls, Beltway 8, Westpark Toll, HWY 59 & 610. 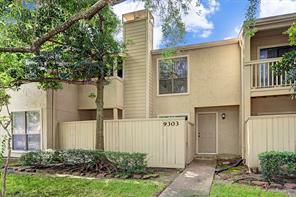 Great location between Galleria and Westchase.